Last updated: 8 September 2005. This page seeks to collect any and all useful Internet materials related to the life and works of Wilkie Collins. 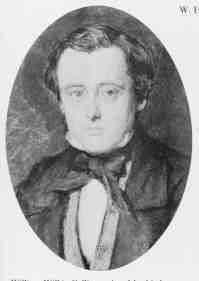 I would gratefully appreciate any information supplied regarding Wilkie Collins on the Web. If you would like to add to this page (your own or others you've visited), please forward the URL to me at: matsuoka@lang.nagoya-u.ac.jp. Chronological display of 80 images of Wilkie Collins from 1824 to 2000. More images of Wilkie than anywhere else - now with even more images. Wilkie and photographs - the major known photographs of Wilkie from 1857 to 1889 together with quotes from his letters and writings about photography. Re-written with new material. E-texts - links to e-texts of almost all of Wilkie's works. Now including Rambles Beyond Railways and all the 27 novels that were published during his lifetime and all his short stories - 58 altogether. There are also 36 non-fiction pieces and five of his plays - which are almost impossible to obtain anywhere else. A list of the published biographies and book-length literary studies. Wilkie's letters Images of manuscripts of fifty letters are reproduced here together with line by line transcriptions and supporting material. Wilkie at Christmas - what he wrote and what he thought. Now updated with more Christmas quotes. Unknown Collins The text of some of his unknown works. Much of his work has been out of print since it was first published. Now you can read some of it here. Aldborough - Wilkie's setting for No Name including Millais's illustration. The history of Wilkie Collins's first novel, Iolani - unpublished in his own lifetime and lost for nearly a hundred years - which was finally published in 1999. Wilkie's will The text of his will and notes on it. What Collins thought of Dickens The few written references by Collins about his friend. Dickens's Bonfire Was Collins the inspiration which led Dickens to burn all his letters? The Wilkie Collins Society was formed during 1980 to promote interest in the life and works of this important nineteenth century author. Apart from The Moonstone and The Woman in White which are both well known, he wrote numerous other novels, short stories, plays and essays. His books have attracted readers for more than a century and his unconventional lifestyle has intrigued the literary world for nearly as long. For further details refer to Paul Lewis, Secretary: paul@deadline.demon.co.uk. The Fiction of Wilkie Collins (James Rusk) - Please note that the server at this address is sometimes not available for a few hours. If you get a "server is busy" error (or cannot connect for any other reason) please try again later in the day. This extract is taken from the mailing list VICTORIA. 3) By organizing a conference on sensation fiction, to be held on or before the year 2000. While we would like the society to be recognized by the Modern Language Association, and organize an annual Collins panel for the December convention (as opposed to "special sessions," so often rejected on single authors), we understand that the MLA is wary of granting "official" status to new societies, and are rather skeptical of success in that regard. 3) A list of publications and/or works in progress on Collins (for a bibliography). Depending, of course, on membership figures, we believe that annual dues of $20.00 will cover the costs of publishing and mailing a newsletter and compiling membership information, but we are not accepting dues at this time. We would prefer that the Collins Society newsletter appear both electronically and in published (printed) form, but we solicit your opinions in this regard. The *Wilkie Collins Society Journal* is an annual volume dedicated to original scholarly essays and reviews of publications relating to Wilkie Collins, his works, and his culture. The *Journal* appeared regularly during the 1980s but has recently been dormant. A New Series will be launched in 1998, with a fresh editorial team and editorial board, sponsored jointly by the original London-based Wilkie Collins Society and the newly-formed Wilkie Collins Society of North America. The joint-editors are Graham Law and Lillian Nayder; the editorial board includes Tamar Heller, Clair Hughes, Phillip O'Neill, Catherine Peters, Jenny Bourne Taylor and Ronald R. Thomas. The editors are now actively seeking submissions for the opening issues. Articles (not more than 6,000 words) should be sent to one of the postal addresses provided below. All manuscripts should follow the MLA Stylesheet, 2nd edition, and be submitted on computer diskette (MS-DOS Format, with Microsoft Word or Word Perfect) plus one paper copy, and should not be under consideration for publication elsewhere. Please note that the e-mail addresses provided should be used for enquiries only, not for submissions. I would like to announce the establishment of a new list for the discussion of the life, time and works of Wilkie Collins at http://www.onelist.com/ this is a free service, but to join the list you have to become a registered onelist user, that's free and no strings too. I found this because I joined a victoria list and Lewis Carroll list there. The site is called Wilkiecollins@onelist.com and it's filled under both new lists, Books | Authors, or by doing a search for the list name. Registration is simple and many of the information areas are optional. Since this not a restricted list you do not need to supply last name or any info you do not wish to provide. This is the Description of the list as it appears on onelist. Wilkiecollins [English] [For People Over 17] Similar lists This list is for book lovers and scholars alike who would like to discuss and keep in touch with others who enjoy talking about Wilkie Collins, his life, works, and world. Wilkie Collins (1824-1889) wrote 25 novels, more than 50 short stories, at least 15 plays, and more than 100 pieces of journalism. His novels include The Woman In White and The Moonstone, considered by many to be the first full length detective novel in English. This list will not only be a place for scholars and enthusiasts to network, but also, if there is an interest, a cyber reading group of the works of Wilkie Collins allowing for the free exchange of ideas, impressions, and beliefs regarding the man and his era.